Just because you found a cute rental unit you fell in love with, doesn’t mean that everything is good to go. This is especially true for those of you that are looking online and are considering going about this sight unseen. Lease agreements are legally binding contracts – just like multi-million dollar movie deals and publicly traded corporate mergers. So before you even apply, you should to take a moment to tour the unit and the grounds with the landlord. There is an essential list of items to look for before applying for a rental and these are not to be confused with the move-in inspection discussed in another article. You will most likely have additional concerns or items of interest that need to be included and satisfied before you apply, but this section will at least serve as a good starting point. Just be sure you allow yourself ample time to thoroughly assess everything that’s important to you and never let the landlord rush you. Sadly, even the nicest of places can be infested with little creatures and night crawlers. 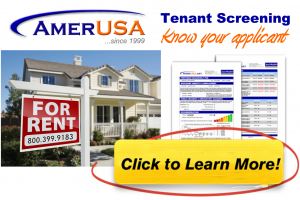 An important factor to consider with apartment complexes – because if there are other tenants present and the problem still persists, then you’ll know how attentive your landlord will be. As far as vacant houses, a few pests may be possible if the unit has been empty for a while. However, it’s hard to accept any degree of neglect. Well maintained/manicured grounds are a good indication of a rental that may have been properly cared for, because the landscaping is usually the first thing a landlord will let go. Having a secure place to live is obviously essential. This applies to not only the unit having necessary window and door locks (including deadbolts), but the surrounding area. Is vehicular traffic monitored by an electronic gate or security officer? If not, contact local law enforcement and ask about crime in the area. Ever rent a unit (or even a hotel for a night) only to discover that your shower goes cold in five minutes or shortly after someone else takes one? It may not seem that important in the summer – but just wait for those cold mornings. A comfortable living environment is usually high on the list for most. Regardless of the time of year you are looking, you want to make sure the climate control system is good enough to keep you and your family happy throughout the year. So test it out. Something seldom thought about, but aggravating when you (or your child) are repeatedly awakened by sirens in the early morning hours, because your unit is situated next to a busy street. For this reason, you may want to visit the unit during different times during the day – not just for outside disturbances, but ones coming from neighbors, if your unit is part of a larger building.